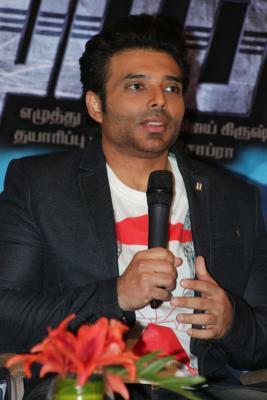 Mumbai Sep 14 (IANS) Actor Uday Chopra says India should legalise marijuana as it can be be a huge revenue source and has medical benefits. "I feel India should legalize marijuana. Firstly It s part of our culture. Secondly I think if legalized and taxed it can be a huge revenue source. Not to mention it will remove the criminal element associated with it. Plus and most importantly it has a lot of medical benefits!" he tweeted on Thursday. Uday who is the son of late veteran filmmaker Yash Chopra said he does not use it but finds legalising it a "wise move". "And no I do not use it. I just really think it is a wise move given our history with the plant " he added. The 45-year-old actor made his acting debut in 2000 in the Shah Rukh Khan starrer "Mohabbatein" and was later seen in films like "Mere Yaar Ki Shaadi Hai" "Mujhse Dosti Karoge!" "Dhoom" "Neal n Nikki" and "Pyaar Impossible".